How safe is your wiring? Faulty wiring may cause a fire but worse still, if your power fails, your internet won’t work! Which, let’s face it, for many people these days is a more immediate and pressing consequence than the chance your house may catch fire. Electrical fires may not be common. But I have attended two instances already this year of house fires caused by out-dated fuse-boxes, in addition to potentially several other unsafe situations. In these two instances, the fabric of the house was actually burning! Fortunately I don’t have to deal with many of this type of situation, and I’m sure that you wouldn’t want to be one of them? In the event of a power failure you can add to your internet failure – no Facebook, Twitter, Netflix et al. No emails for your work or business. Your gas boiler won’t fire up so no hot water or heating. Or as in the case of one of my customers recently, their sewage plant backing up! Our homes and lives are full of products that depend on a safe and reliable electrical system. 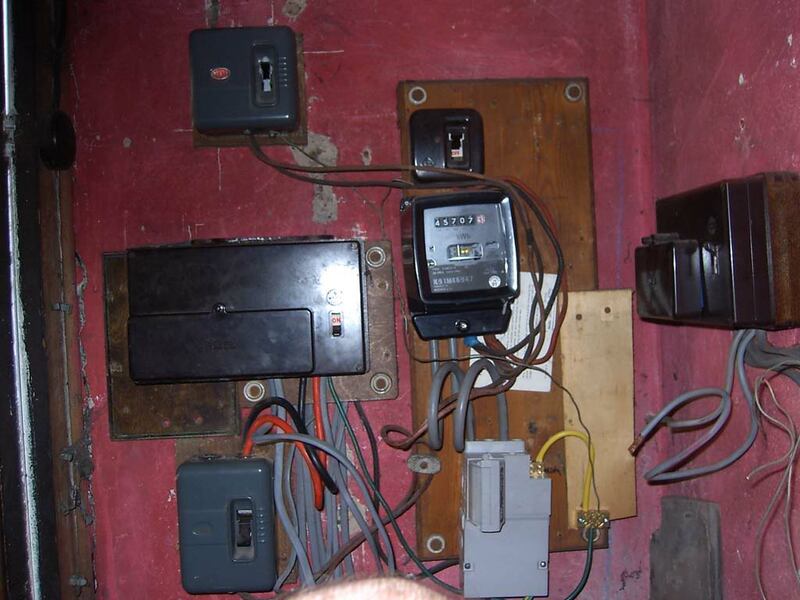 Yet many houses still have old wiring dating back to the 1960s with an old style fusebox hidden in the cupboard. Even a house built in the 1980s still has wiring 30 years old. Would you continue to drive a thirty year old car without getting it MOT’d and serviced? You rely just as much on your wiring and it can be just as lethal! Safety regulations have been radically revised twice in the last twenty years. Old style fuseboxes don’t provide the level of protection that a modern consumer unit with miniature circuit breakers and RCD’s does. A modern consumer unit provides a much greater degree of shock protection and also the breakers are easily reset. No messing about with fiddly fuse wire by torchlight. If you have a modern style unit where something keeps ‘tripping out’, the chances are the unit isn’t faulty – it’s doing it’s job. It almost certainly means a faulty appliance, or a wiring fault. Or it could be the wrong type of unit with the circuits not correctly assigned. Wrong choice of devices. Someone carrying out ’a cheap job’ . A single failure shouldn’t knock out your entire house. So beware of the sparks that offers a cheap price. My rates are reasonable and my work second to none. The good news is it is now rare to come across old rubber cable. 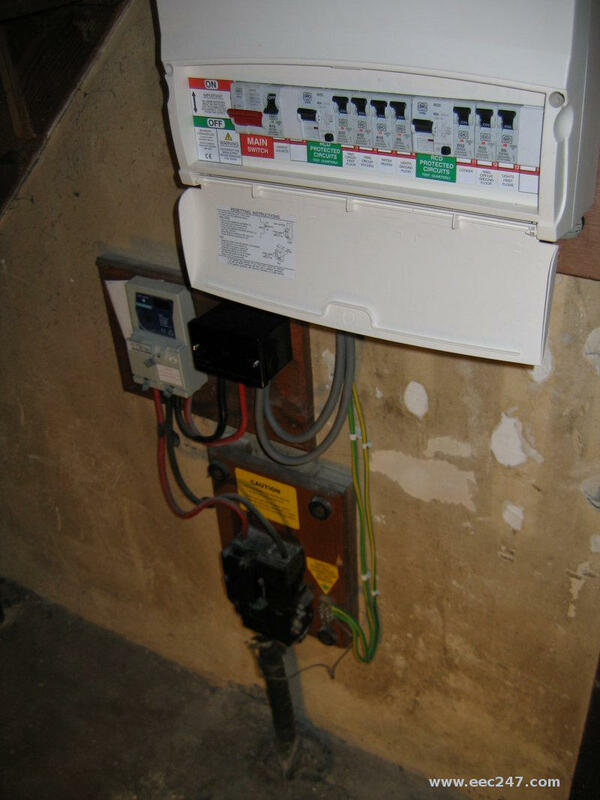 It is often possible to replace an old style fusebox with a modern consumer unit carrying out other upgrading to earthing and services at the same time. Often even that old pvc wiring can be tested and given a clean bill of health for further service – with, if necessary, remedial work carried out. Old switches, sockets and pendants can often be replaced, effectively reconditioning the installation. This kind of work can be carried out for hundreds of pounds rather than thousands’ and upgrades the system in line with current regulations. Good for safety and a useful selling point if you are looking to sell your house. Much cheaper and less disruptive than rewiring. This approach may not suit all situations. It may be that there are just insufficient points or the wiring is in poor condition or badly installed. Modern life and use places much greater demands on electrical wiring. A kitchen alone will have a number of appliances. In this case partial or full rewiring is the more economical option. I am very happy to advise and provide you with a quotation, whatever your requirements.